Due to the recent economic crisis in many countries, many companies have had to cope with financial struggles. Because of this, unsecured loans have become a hard thing to come by since many financial institutions are not willing to give them out. Therefore, many companies have decided to use their own assets as collateral to lenders in what is referred to as asset-based loan financing. Thus, asset-based loan financing is a process where the company's assets are used as collateral to get a loan from lenders. Most of the times this decision is reached by the company when it needs to have more working capital for expansion purposes. In all asset-based loans( ABL), the lender's interest is secured by the assets of the borrower which also determines how large of a loan a company can access. It is good to note that both small and large sized companies can qualify for an ABL loan. These include wholesalers, retailers, distributors, and even service providers. However, many of the asset-based lenders want a company with a stable balances sheet with strong assets. Who Uses Asset Based Loans? These loans are usually advisable whenever a company needs working capital to keep all its normal business activities running. The company, therefore, opts to use its own assets to get financial assistance from lenders. In this case, the company's assets are used as collateral. What Company Use as Collateral? Many lenders like taking accounts receivable as the main collateral. However, a company can still use its equipment, machinery, real estate and inventory as collateral. What Determines a Company Gets? Not all companies can be given the same amount of loan. Sometimes the amount that a company applies for may not be given by the lender due to certain rules that guides the lending process. Generally, a company is allowed to borrow between 75%-80% of the value of the company's account receivables. On the other hand, when inventory is used as collateral, a company qualifies for a loan equal to 50% of the value of the inventory. The cost of these loans depends on the value of the collateral used, the amount of the loan given as well as the general risk involved. Many times the cost of the loan is priced based on the current annual percentage rate (APR) which ranges between 7% and 17%. How Does the Due Diligence Process for the Loan Work? 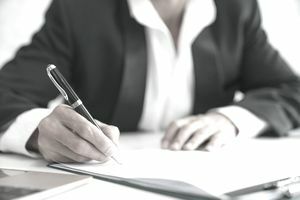 Before a lender agrees to provide a loan to any given company, they have to conduct research about the company's financial status, the type of collateral being used as well as go through the company's financial books. Can be obtained quickly - Unlike other conventional loans that require a lot of documentation, ABLs are easy to obtain without hassles for as long as the company meets the lending criteria. Financial stability - These loans can cushion a company going through hard economic times and quickly restore it to a stable financial state. It is due to the fact that they are given within a short period of time so as to increase the company's cash flow. Easier to get compared to other types of loans - Realistically, it is easier to qualify for an ABL loan compared to other lines of credit. It is attributed to the fact that very few processes are involved. What needs to be considered is the financial position of the company and the value of the collateral used. More flexible in terms of restrictions - Asset-based loans are very flexible when it comes to how the company spends it. It does not come with strings attached, like other loan forms. Lack of debt - Asset-based loan financing is the best way for a company that wants to stay free of debts and to keep the company's borrowing options open.